We are a leading Manufacturer of flexible waterproof coating, acrylic cementitious waterproof coatings, cementitious waterproof coating, elastomeric waterproof coating, acrylic cementitious waterproof coating and waterproofing coating from Hyderabad, India. We are getting huge appreciation in the market by offering a wide collection of Flexible Waterproof Coating. 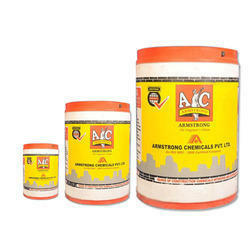 The offered waterproofing coating develops high breaking strength with good puncture. 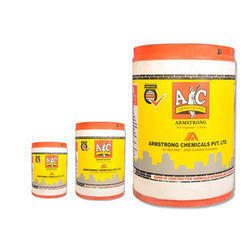 This waterproofing coating is processed using supreme class ingredients as per the set industry norms. 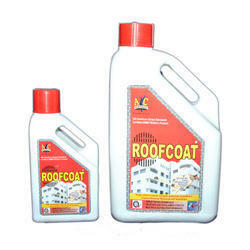 Customers can avail this waterproofing coating within promised time frame from us in various quantities. It develops high breaking strength with good puncture over a wide temperature range. High resistant to U.V. and reflects the sunlight, thus reduces the room temperature by 4° C.
We have gained immense experience in this domain by manufacturing, and supplying a wide assortment of Acrylic Cementitious Waterproof Coatings. Resistant to fungus and algae formation & protect structures against leakage, seepage, the offered waterproofing coating is processed under the observation of our quality experts by using sophisticated technology at par with international quality standards. The whole range of waterproofing coating is available in different packaging options as per the needs of our customers at nominal rates. Excellent waterproof coating with tough, hard abrasion resistance. Excellent elastomeric properties allows breathability of coating and resists cracks formation. High resistant to fungus and algie formation. Can be mixed with grey or white cement and stainers also to achieve the required color coatings. 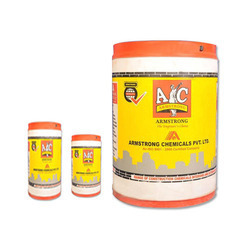 Protect structures against leakage, seepage, dampness carbonation & aggressive environments. 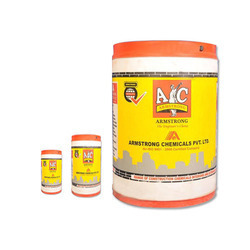 Provides excellent bonding between old & new concrete and mortar works. 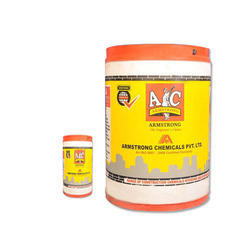 Ideal to use as an admixture to mix with concrete / mortar for Crack Filling, Tile fixing, repair works, Grouting etc. Can be used as a passivator coat to protect the steel reinforcement. 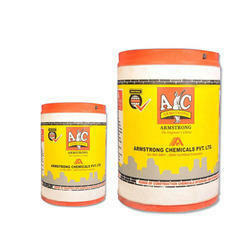 Recommended for Roof gardening, Swimming pools, Terrace, Water tanks waterproofing etc. We are ranked as the noteworthy manufacturer, and supplier of Cementitious Waterproof Coating. The offered waterproofing coating is processed with the best grade ingredients and leading technology according to the quality standards. 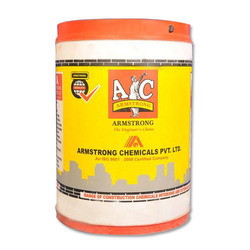 This waterproofing coating is used for excellent waterproofing to new & existing structures. Our waterproofing coating is tested by our quality controllers on various parameters in order to make certain their quality. Also suitable for all types of structures including those situated in coastal environment- Roof, basements, water tanks, swimming pools etc. This Elastomeric Waterproof Coating is recommended due to its high performance, Elastomeric Waterproof Membrane Coating. 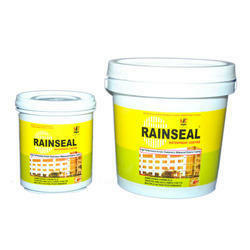 Further, the offered Elastomeric Waterproof Coating is known for its premium quality. Excellent jointless, seamless, puncture resistance highly flexible liquid membrane coating. Recommended for waterproof of roofs, basements, external walls, precast concrete roofs, terraces of power houses, turbine houses, factories etc. To increase the mechanical properties of the coating, recommended to lay the fiber mesh between 1” & 2’’ Coat. As per the site condition 2 to 3 coats has to apply in addition to the primer coat. Can be diluted upto 20% of water and recommended to apply by brush/sprayer. COVERAGE: 50-60 Sft. per hr. / per coat on plain surface. Owing to our vest industry experience and knowledge, we are engaged in offering our clients a wide range of Acrylic Cementitious Waterproof Coating. The offered waterproofing coating is used for repairing the leakages and suitable for repairs to cement plastering & concrete works. This waterproofing coating is processed by utilizing top-notch quality ingredients as per the set industry norms under the observation of our experts. Waterproofing Coating consist Polysulphide modified epoxy coating. the offered Waterproof Coating is extensively used for applications involving continuous contact with water. Excellent adhesion to steel and concrete surfaces. Forms a flexible and UV resistant film. Can be used on both sides of tanks, pipelines, penstocks, sewage water treatment plants. Coverage: 250 to 300 Gm/per sq.mtr and forms a DFT of 175 to 200 microns. Owing to years of experience and knowledge, we are engaged in providing a wide range of Waterproofing Coatings. This Waterproofing Coating is provided as per the need of the application were normal water proofing with brush applications and with sprayer is difficult and were ever this coating has to be poured / thrown to arrest the leakages. Pack: 5, 10, 20, 30 & 210 Ltrs. Being an eminent company, we are offering Waterproof Coatings. Roofcare-MIO Waterproof Coating consist two component epoxy base micaceous Iron oxide coating for steel & concrete. For final sealing of epoxy mortar in concrete, metal columns, services and ducts if required. Improve the surface finish and increases impermeability of concrete, with excellent resistance to chemical and U.V lighting for steel and concrete. Self priming material of Hygienic. With our rich experience in domain, we are providing a wide range of Waterproof Flexible Membrane Coatings.Rainseal Flexi Coat 200 is a high performance acrylic elastomeric water proof membrane coating. High performance, elastomeric liquid membrane waterproof coating, cured film tough, hard coating improve the elongation properties to bridges existing and future cracks over a wide temperature range. It develops high breaking strength with good puncture resistance, High resistance to UV, by providing joint less and seamless membrane waterproofing. Reflects the sunlight, thus reduces the room temperature by 4°C. The offered product is recommended to use for waterproof of RCC substrates, roofs, sloped roofs, basements & external walls. As a primer coat application dilute RAINSEAL FLEXICOAT 200 with water 1:0.5 to 1:1 ratio. Two coats are recommended for dependable excellent waterproofing. This can be mixed with any color pigments as per the choice. To increase the mechanical properties of the coating, recommended laying the fiber mesh between 1st & 2nd Coat. As per the site condition 2 to 3 coats has to apply in addition to the primer coat. Looking for Waterproof Coatings ?